Iraq depends on water that flows into the country from the Euphrates and Tigris as well as a number of tributaries. Due to this dependence on upstream flow, reductions in the flows of these rivers resulting from upstream agricultural development, population growth, industrial development, dam construction and other water diversions places Iraq in a tenuous position. This vulnerability is exacerbated by a lack of permanent agreements for water allocation of the major rivers or quality of the water that reaches Iraq’s borders. Over the next 20 years, it is expected that the combined population of those parts of Turkey, Syria and Iran that reside within the watershed boundary of the Euphrates and Tigris will increase by more than nine million people. Figure 1. Population growth in the Euphrates and Tigris watershed of Turkey, Iraq, Syria and Iran between 2015 and 2035. 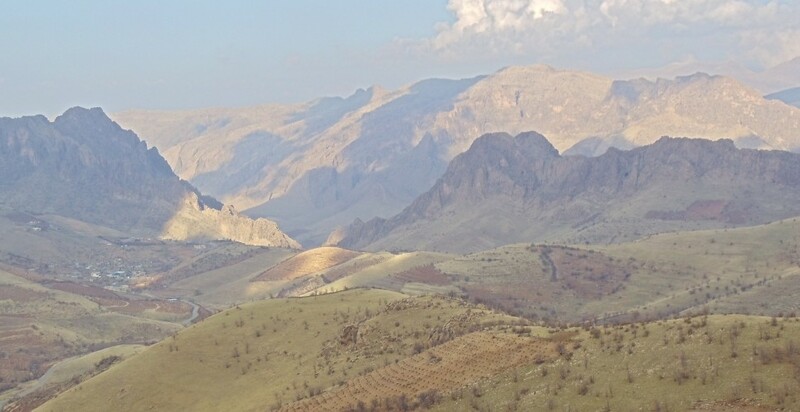 Concurrent with this population growth, Turkey, Syria and Iran will add more than 1.5 million hectares of agricultural land within the Euphrates and Tigris watershed. By 2035, the total cultivated land within these three countries will amount to nearly 2.5 million hectares if full agricultural development is achieved. This intensive agricultural expansion will substantially increase the water consumption outside of Iraq, thereby worsening the water quality and reducing the water quantity Iraq receives. If 100% of the planned irrigation projects and water diversions are achieved by Iraq’s upstream neighbours, by 2035 Iraq’s water availability will be 24% less than today. Even if only 75% of the planned projects go forward, Iraq’s water availability will be 21% less than today. Equally important, upstream intensification of agricultural practices are projected to reduce significantly the water quality that reaches Iraq through a process of progressive salinization of fresh water. The prospective reduction in water quality and quantity creates urgency for Iraq to comprehensively manage its water situation – both through dialogues with its upstream neighbours and through managing its domestic water consumption. 1987 – The Protocol on Economic Cooperation is an interim agreement on water quantity, which states that an annual 16BCM (500m3/s) is to be released at the Syrian-Turkish border. 2009 – The Turkish-Syrian Strategic Cooperation Council Agreement addresses joint activities in the field of water such as the improvement of water quality, the construction of water pumping stations and joint dams as well as the development of joint water policies. 1990 – The Syrian-Iraqi Water Accord allocates the water of the Euphrates River according to a fixed ratio of 42% to Syria and 58% to Iraq. 2009 – The Memorandum of Understanding (MoU) on Water is one of 48 MoUs signed between the two countries. Both sides agreed to share hydrological and meteorological information and exchange expertise in these areas. Data elaborated from the World Bank database. Available at data.worldbank.org/indicator/SP.POP.GROW, accessed 6 June 2016. The concept of 100% upstream development means that all of the known planned irrigation projects and water control infrastructure along the Tigris watershed in Iran and Turkey are fully implemented by 2035, and Iraq will be guaranteed a minimum of 9,145BCM annually along the Euphrates River (i.e. the existing agreements between Turkey and Syria and Syria and Iraq will be kept in place) and all projects located along the Tigris River in Turkey are fully developed. UN-ESCWA and BGR (United Nations Economic and Social Commission for Western Asia; Bundesanstalt für Geowissenschaften und Rohstoffe), 2013. Inventory of Shared Water Resources in Western Asia. Available at: http://waterinventory.org/sites/waterinventory.org/files/chapters/Chapter-01-Euphrates-River-Basin-web.pdf, accessed 6 June 2016.